Here's with another submission for Pinspired. Click the badge below and it will lead you to the challenge site. I'm not making an Halloween card but I love the fall colours so I decided to make it as the background of my card. I hope you like it! I had fun making this card. This is SUPER cute! I love the background you created!!!!!!!!!!!! 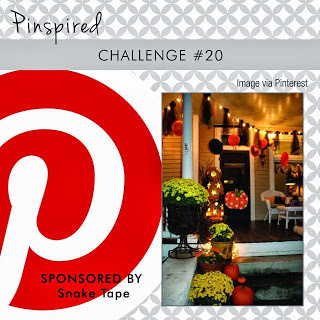 Thanks for playing along with Pinspired Challenges!! !